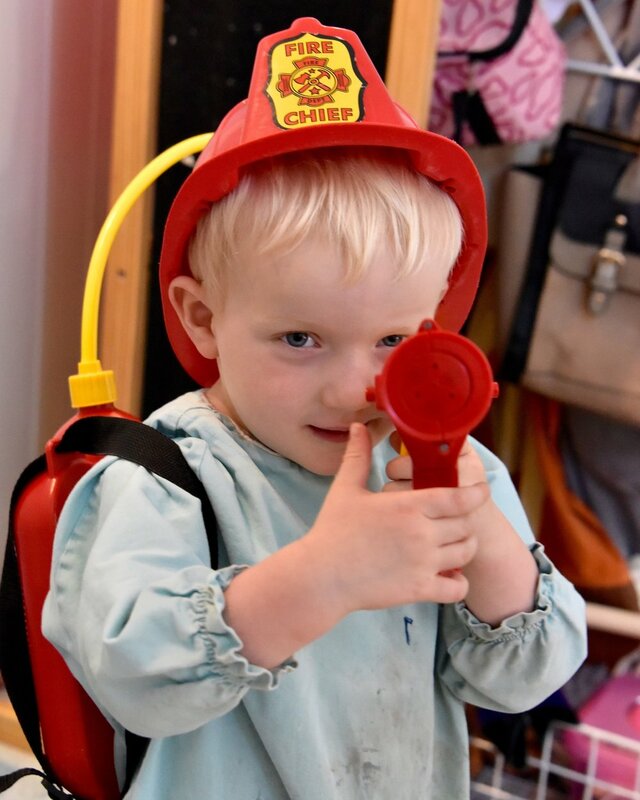 Parson's Green Nursery are committed to providing an outstanding Level of care and education for all children. Our Preparatory Class room is large and bright with high ceilings situated on the first floor and accommodates children between the ages of 3 and 5. We pride ourselves on the quality of preschool education we offer, with a qualified early years teacher working with our children and families to ensure all children are prepared for school while appreciating the value of a nursery education in its own right. The Children engage in a number of extra curricular activities daily, including PE, French, Football, Music, Baby Gym and Dance. Healthy fresh foods are delivered every day from specialist caterers. We provide breakfast morning snack at 10am, lunch at 12pm and a light tea at 4pm. In accordance with OFSTED Guidance, our Pre Schoolers go out daily, either to the park or play in our on site playground to ensure they get regular fresh air and exposure to a range of different stimulus, we are fortunate to be located in close proximity to Hurlingham Park, South Park and Bishops Park which the children very much enjoy visiting regularly. Settling In: We offer three free settle sessions (1 hour each) when your child joins. We recognise that starting nursery is a big step, and that all children are different and so we base children's transitions and settles around individual children's needs and we will discuss this with you on enrolment. If your child is moving across from the Transitions Class, your child's key worker will talk to you about the transition process and put in place an individual plan. Parents will be invited to a transition meeting in which the child's current key worker will sum up their time in Transition and information passes to the child's new key worker. This meeting also gives parents an opportunity to meet their child's new key workers and address any questions or concerns you may have about the process. Key Workers: On joining Preparatory your Child will be allocated a Key Worker, this can be changed according to who your child forms a natural bond with. Their Key worker will form a close relationship with you child during their time in the Preparatory, and is responsible for planning weekly activities to meet your child's needs and interests, liaising with you regularly and during development Progress Review Meetings. They will also complete an online learning journey documenting your child's time in the room which you will have access to via your nursery app. It may be useful to pass this on to your child's primary school. 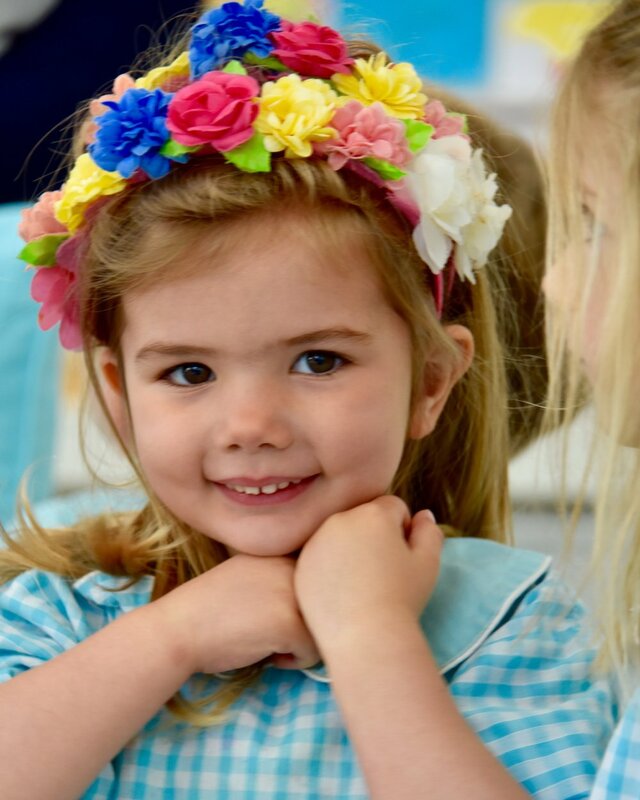 Schools: The Nursery has strong relationships with a large number of local schools who we visit and invite to come into the nursery each year. We advise parents on what schools we feel may be the best fit for their child and throughout the application and assessment process. 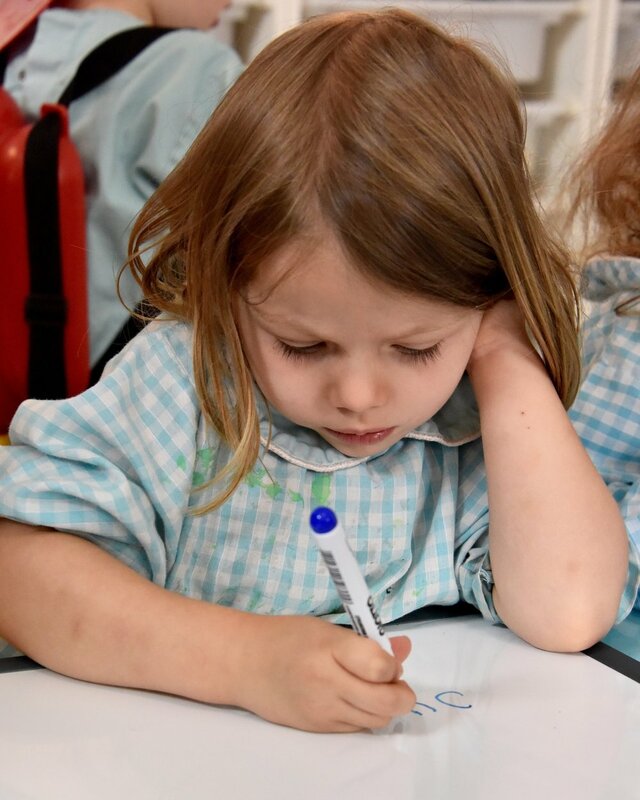 Curriculum: We follow the Early Years Foundation Stage Curriculum for all children, and using our specially developed Learning and Development tracker, we monitor children's learning and development. We plan individually for all children by developing next steps based on observations made my staff. We always ensure that children are provided with a wide range of interesting activities and experiences to scaffold their development in all areas of learning and that children have a say in their learning. Phonics: We use a range of phonics programs and books to support children's developing literacy when they are ready and keen to do so. Reading books are sent home on a regular basis to support development of literacy skills and learning within the home environment. Our French classes are run by Club Petit Pierrot. Established in 1993 Club Petit Pierrot plans and delivers fun and interactive french sessions using their unique immersion programme. Learning a second language early in life enhances overall cognitive skills and improves brain development. Studies have shown repeatedly that foreign language learning increases critical thinking skills, creativity, problem-solving skills and flexibility of mind in young children. Children who are learning a foreign language out-score their non-foreign language-learning peers in the verbal and, surprisingly to some, the maths sections of standardised tests. French is widely taught in Primary Schools as a first introduction to learning a foreign language and our French classes aim to provide a well rounded introduction to this. French Classes start from our Transition 2 class and are approximately 30 Minutes long. Our Music classes are run by Miss Evon our specialist children’s Music teacher who has been teaching music to children for over 15 years. Miss Evon brings her trusty Guitar and beautiful voice to every class and introduces the children to a wide range of percussion instruments and different types of music from different genres and cultures. Miss Evon helps the children to develop a love of music and singing, she supports children in preparing for our Summer and Christmas Concerts which parents are invited to in June and December each year. During these classes children develop an understanding of music and rhythm, develop communication and language skills as well as self confidence and self awareness. Our dance classes are run by Lucy Sparkles from children in Transition 1 (20 months) onwards. Our creative dance classes develop self-expression and creativity while increasing body awareness and fitness. The sessions are themed according to popular preschool topics and follow the Early Years Foundation Stage national curriculum. All of the music is of the highest quality, carefully selected to suit the theme and mood of each dance. All of our dance teachers are trained dancers and performers with a passion for working with children in their early years. Dance classes help to develop a number of skills including; Memory, Locomotor skills, Balance and control, Spatial awareness, Muscle Development, Musicality, Co-ordination, Rhythm, Confidence, finger dexterity as well as social skills and friendships. Our cookery classes are run in house. They offer children an opportunity to learn about where food comes from and how to make healthy food choices. Getting children involved in making their own food often encourages them to try new foods and develop an Interest in food preparation. Our cookery classes are cross curricular and help children develop a wide range of skills including; Maths skills, Fine Motor skills, an appreciation of other cultures, an understanding of where food comes from and good hygiene practices, to name a few. Our cookery classes link in to current topics and festivals we celebrate at nursery providing a practical experience of things they learn about in the classroom. Our Football classes are run by Little Kickers and take place at Hurlingham Park on a Tuesday Morning. Children from Transition 1 (20 months) onwards take part in these classes on a weekly basis. Little Kickers classes take a “Play not Push” approach to teaching football. This means teaching football in a fun, pressure-free environment. By giving children a positive introduction to sport as a whole, not just football, we aim to encourage healthy lifestyles and habits that will last a lifetime. We believe football can be educational. Coached in the right way it stimulates imagination and aids early development skills such as learning colours and numbers, following instructions and learning to play as part of a team. Little Kickers unique approach to teaching football has lead to them receiving numerous awards and helped them expand globally over the last 12 years. Our In house Indoor and Outdoor PE classes are run by our nursery manager Mr Daniel who has over 10 years experience teaching sport to children. Our PE classes aim to instil a love of sport and physical activity and provide children with a great introduction to a number of different sports. Mr Daniel uses a wide variety of games and activities to develop a range of skills including balance, agility, gross motor skills, hand eye co-ordination and team work, in preparation for our Sports days which takes place every summer at the Fulham Palace.